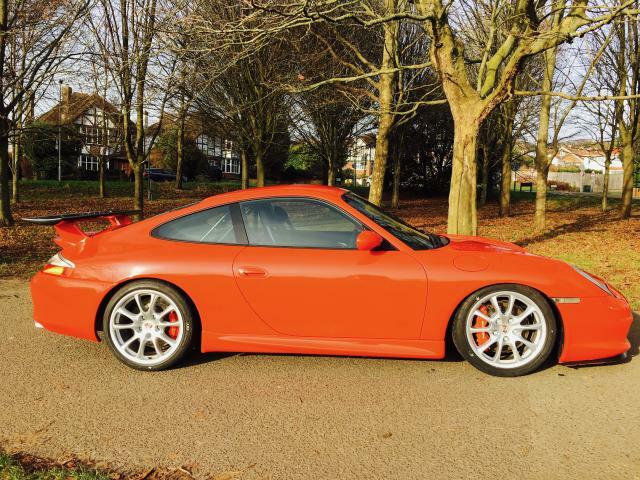 911uk.com - Porsche Forum : View topic - Unrecorded GR 996 GT3 via Copart; LX53NRN Updated! 911uk.com Forum Index > 911 GT, R & RS Models (1973 - current) > Unrecorded GR 996 GT3 via Copart; LX53NRN Updated! 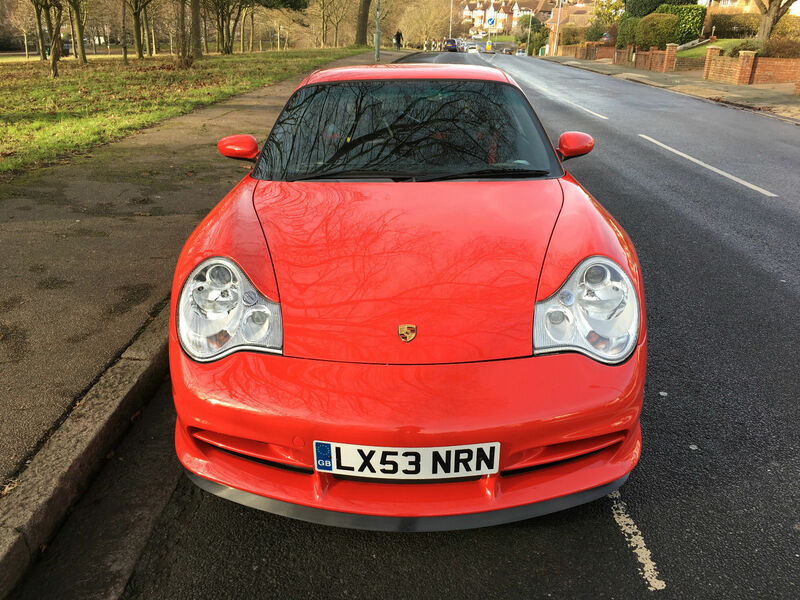 Posted: Wed Feb 01, 2017 8:45 pm Post subject: Unrecorded GR 996 GT3 via Copart; LX53NRN Updated! No link for the GT3. Would get my vote too! We have been advised that this this 996 GT3 Reg LX53NRN has been subject to a repair and insurance payout. Car was damaged at the Nurburgring due to a crash in the Summer 2016, a complete Insurance Payout has been made on the car following this significant event. Should be priced as having accident repair following such an incident. I'd choose the GT3, but then I've wanted one ever since they were announced. Yes a Clubsport MK1 GT3. That Turbo is lovely but the wheels don't suit it without the rest of the gt2 parts fitted. Ride height doesn't help either. GT3 a whole different ballgame. My choice every time. But it is 50% more, money wise. Both lovely and I'm envious of both owners. 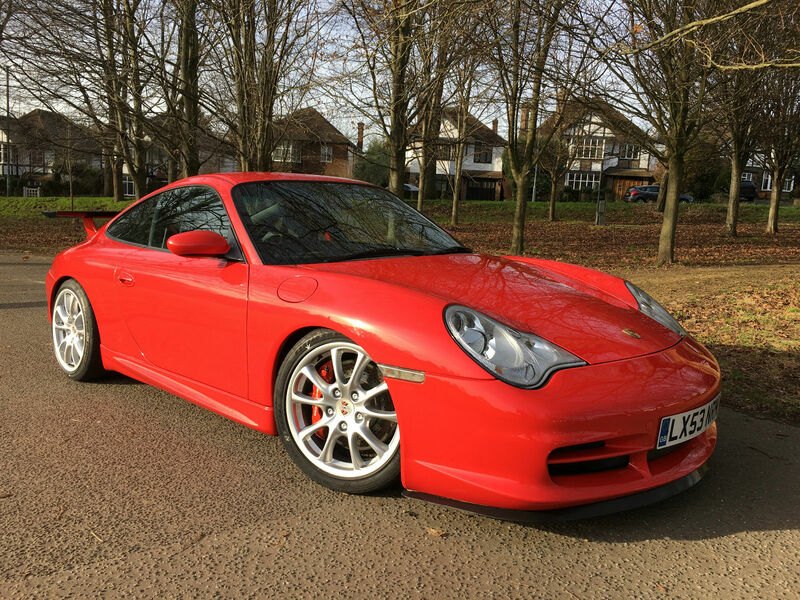 I'd plump for the GT3, my only quibble being a mate has one (996.2) in Guards already. But I wouldn't let it bother me for any longer than its taken me to write this post. Is this some sort of 911uk competition by chance? OMG - Gimme a LOTTO win - GT3, GT3, GT3 - the ultimate! 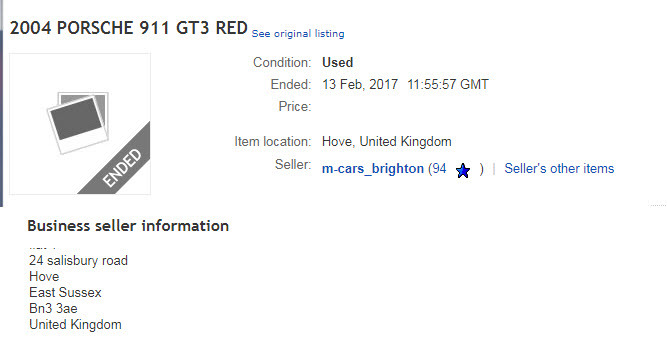 £47.5K for an early Turbo, in ***** red? Really? 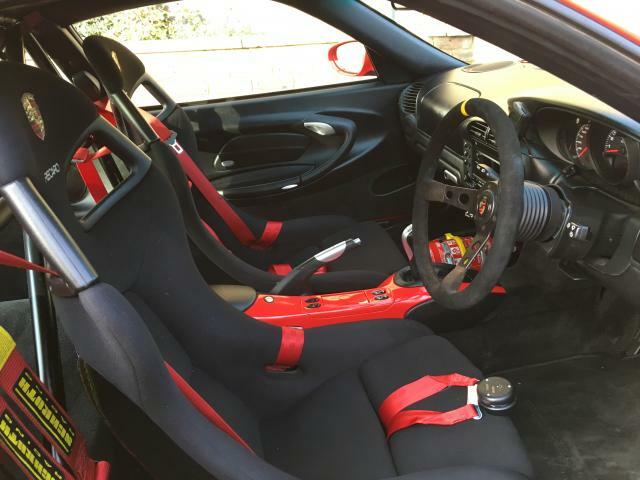 £70K for a 996 GT3? GT3 all the way but with so many clubsports active on track they all need some serious background checks for history and repairs, especially when modified and therefore not factory original: The rear wing is missing endplates, Nitrons, RS intake, cup steering wheel yet super perfect wheels and unknown seller. May well all pan out ok but never does any harm being comfortable before parting with so much money. Is this meant to be a contest? I'd maybe offer half the asking price? Definitely no small shunt if it happened there! The car is very well known on Pistonheads/on here and a credit to its previous owner, who pedaled it very well at the Ring and Spa in years past. The Carbon Manthey wing, which the idiotic body shop left without the end plates was on the car before the shunt. The genuine Porsche Cup wheel was also fitted prior to the accident. The only real shame is that whoever did the work to put it back on the road has taken off the Gold BBS LMs and swapped them over for the boring 996.2 wheels. Could be an attempt to hide the identity of the car? As for the actual damage - I was bidding on this car until it reached £35k. It sold for £39k. Porsche had quoted some crazy number to fix it, hence the insurance payout. As a matter of fact, the damage could be classified as almost superficial. New bumpers, new lights and a few other things. I came away with £20k repair estimate, Porsche quoted almost three times. It is sad that the current seller has decided not to divulge the past. However, I have seen much worse 997s put back on the road. Given how good this car was prior to the shunt, I don't think over the long term it was such a bad buy (provided it was properly repaired).